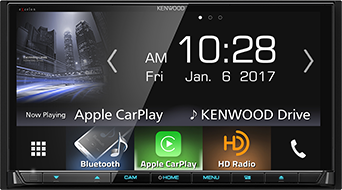 CarPlay is the smarter, safer in-vehicle interface to operate your iPhone, and now reaches another level by being featured in a KENWOOD multimedia receivers. 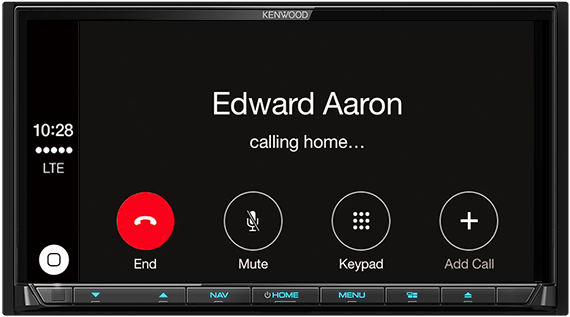 Use Siri voice control to get directions, make phone calls, listen to voice mail, send/ receive messages and select music in a way that keeps you focused on the road ahead. 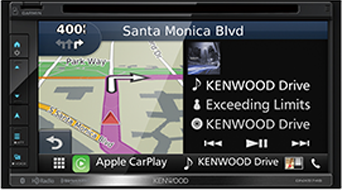 A simple USB connection gives you immediate navigation, music, podcasts and voice control. 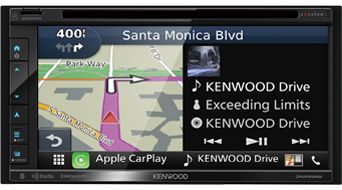 A simplified touch screen interface combined with Siri voice control provides a safer driving experience. Tell Siri what you'd like to listen to. 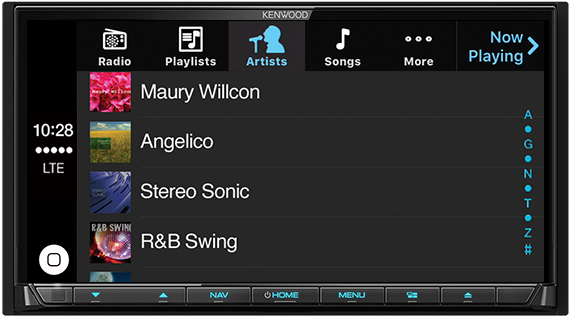 Access stored music, Podcasts, iTunes radio, and additional audio apps downloaded to your iPhone. 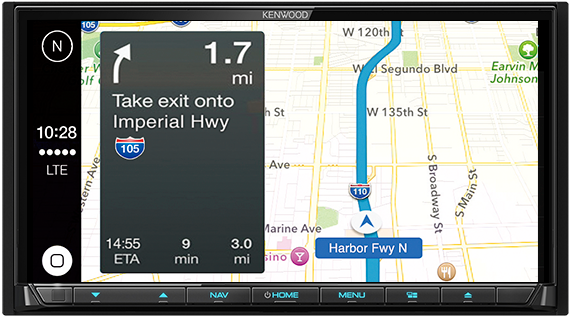 Just tell Siri where you want to go by speaking an address or place. You can also ask questions like "What restaurants are nearby?" or "Where is the nearest gas station?" 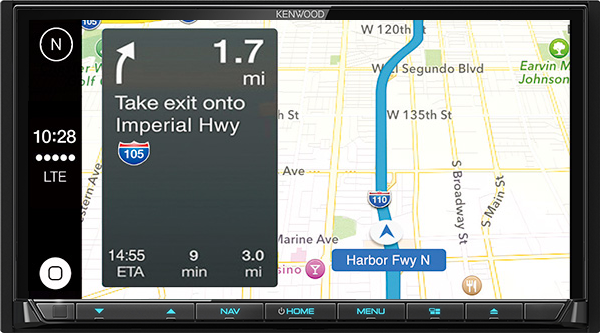 When you ask such questions Siri will present you a list of options or the best route. 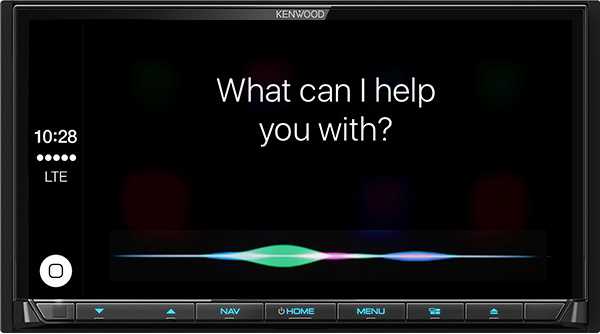 Siri minimizes distraction by making your calls, checking your voicemail, sending and reading your messages while keeping you focused on the road. 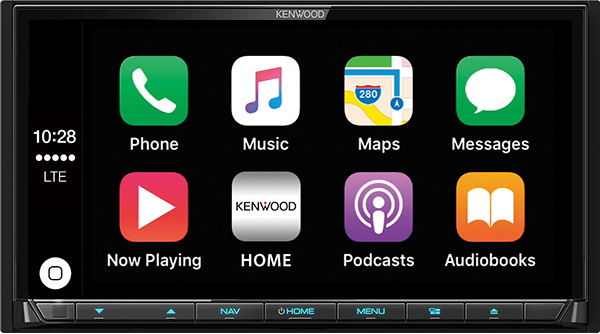 Go for a drive with KENWOOD and CarPlay. 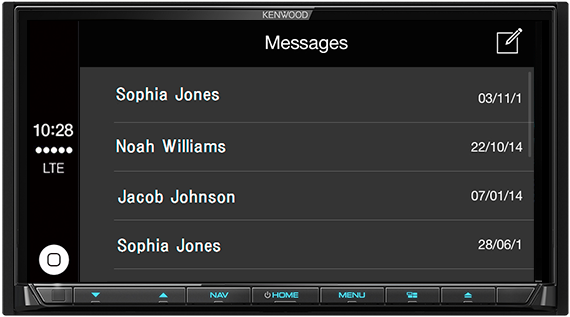 KENWOOD is a trademark or registered trademark of JVC KENWOOD Corporation in the U.S. and/or other countries.  • Information contained and specifications may be changed without notice. 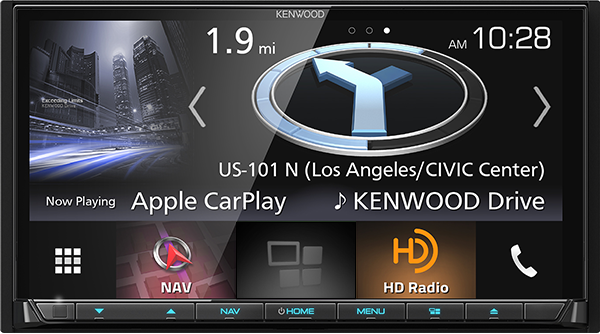 • All screen picture and videos are simulated. 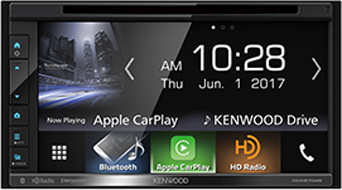 • iPods, iPhones, Android smartphones or any other accessories shown in are not supplied, and must be purchased separately. 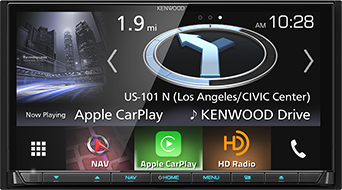 • Use of the Apple CarPlay logo means that a vehicle user interface meets Apple performance standards. 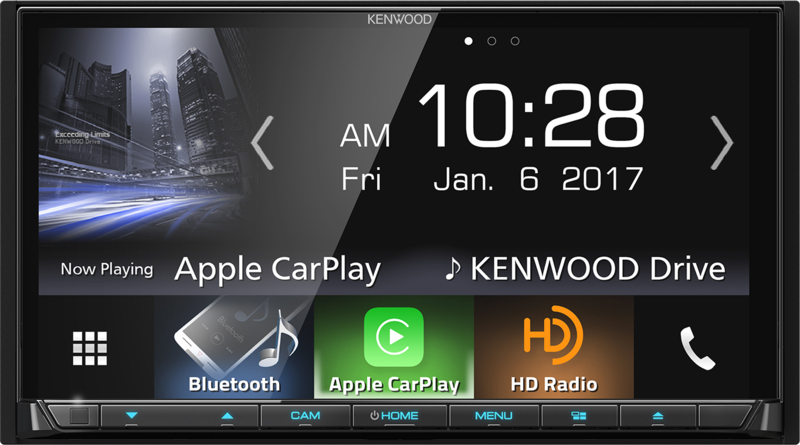 Apple is not responsible for the operation of this vehicle or its compliance with safety and regulatory standards. Please note that the use of this product with iPhone, iPod, or iPad may affect wireless performance. 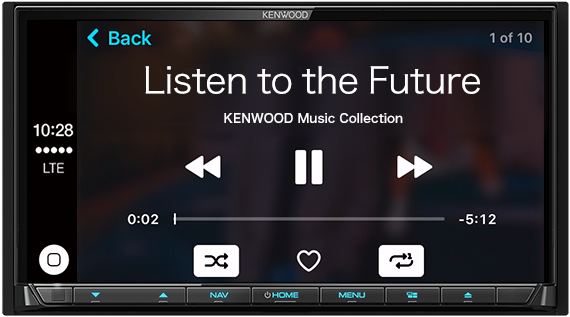 • "Made for iPod," and "Made for iPhone" mean that an electronic accessory has been designed to connect specifically to iPod, or iPhone, respectively, and has been certified by the developer to meet Apple performance standards. Apple is not responsible for the operation of this device or its compliance with safety and regulatory standards. Please note that the use of this accessory with iPod, or iPhone may affect wireless performance. • Apple, iPad, iPhone, iPod, and iPod touch are trademarks of Apple Inc., registered in the U.S. and other countries. Apple CarPlay is a trademark of Apple Inc.
• All other brands, product names, logos, or trademarks are the property of their respective holders.